All event tickets are non-refundable. Be sure to click on the correct date and time. If additional dates are offered for an event after you have already registered, we cannot transfer tickets between dates. 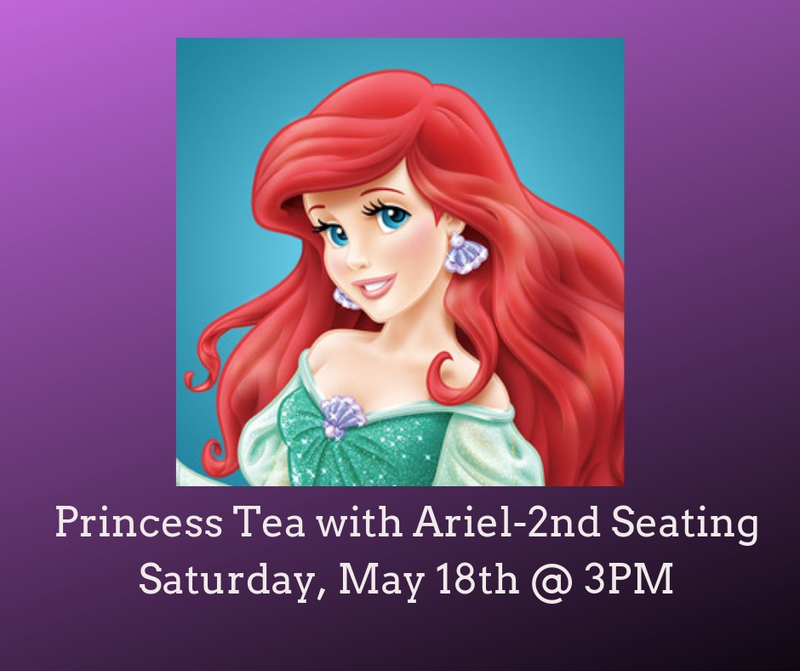 For children’s teas be sure to identify how many adults and children will be attending. ALL children must be accompanied by an adult. ALL attendees, children and adults, must register (and pay) for the event. Due to limited space, we do not allow non-paying observers, family members, or other non participants in the dining room during the event. Please notify us of any food allergies 48 hours prior to the event. We will not be able to accommodate any dietary changes the day of the event. If you wish to be seated as a group, please either book all together or when you pay enter the party you wish to sit with in the Order Comment section. There are no ‘tickets’. Your receipt is your ticket. Tax will be added. Gratuity is not included. Events are subject to change without notice.